Maqazi is known as one of the most distinguished and yet one of the freshly arrived fashion brands in Pakistan. This brand has been working since 2012 and surely it has gained maximum number of positive responses and has made their own special place in the hearts of millions of fashion lovers. Maqazi has been offering their clothing collections for men, women and kids and yet their main product lines fall within the formal wear, semi formal wear, casual wear and pret wear clothes. In almost all of the clothes by Maqazi they give away their entire interest in highlighting traditional and cultural modes of flavors. 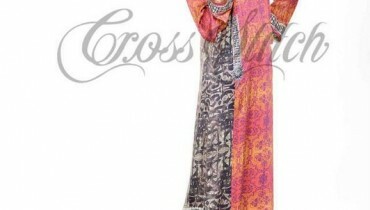 Just newly, Maqazi has launched their one of the unique modern looking and much well designed summer collection 2013 for women. This summer collection 2013 is following up with the long shirts that can be placed along with the tights trousers and churidar pajamas. Within this complete summer collection the brand has adorned all the embroidery working along with the lace designing that is implicated on the front side, borders, sleeves and little bit on the back section too. In all the summer outfits the women will find some sort of mixture within the modernity and elegance that has been making the collection much eye catching alluring in the fashion market. In this post we will be giving out few of the pictures about Maqazi summer collection 2013 for women. All of the summer dresses have been painted with the brighter and dark vivid color formations that has been making the collection much colorful looking that includes red, white, blue, pink, purple, yellow, black, brown, green and so many others. The women and girls can favor this collection for the formal parties, social events and get together family gatherings. If the women want to know more about this charming and fashionable summer collection by Maqazi regarding their rates then they can get connected with the brand through the below stated contact number and email address.